FolioMetrics provides users a versatile yet simple to use reporting solution. 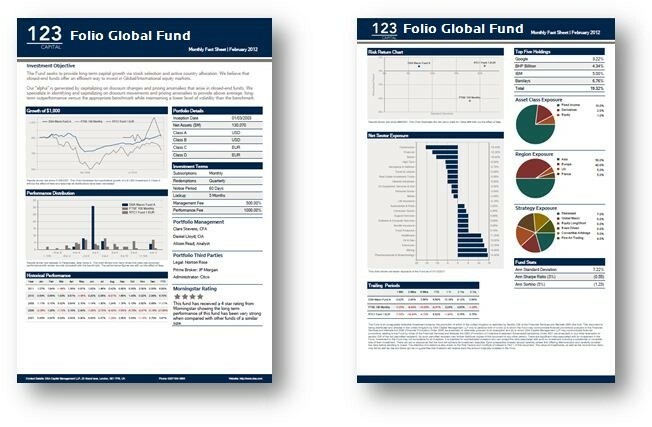 Whether the need is for internal analysis reports or professional client reporting, FolioMetrics makes it easy. The solution includes a set of powerful reports that are ready to use straight away or easily tailored to meet your needs. For users that want to create their own reports, FolioMetrics integration with Excel provides ultimate flexibility in a familiar environment. 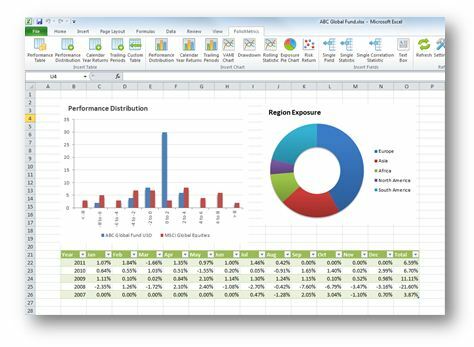 Users simply drag in the fields, tables or charts from the FolioMetrics ribbon in Excel. The tool can also run in batch mode providing the ability to quickly generate reports for multiple funds.